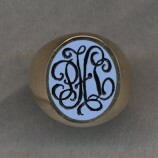 Here we present several examples of rings and pendants with monograms. 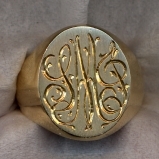 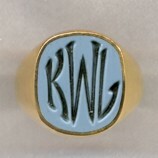 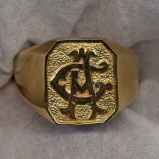 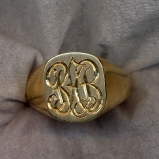 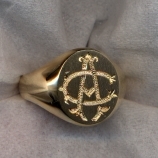 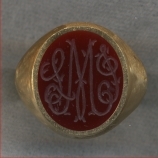 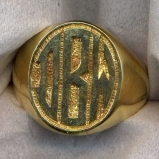 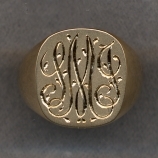 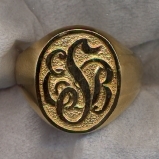 Monograms can be engraved on ANY of our regular plain gold or stone rings or pendants. 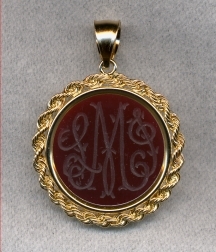 Just tell us the ring or pendant you want, the monogram style (we can engrave any style of monogram you send us) and the initials to engrave. 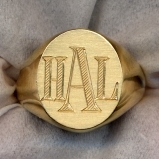 Make sure you specify which initial is the last name. 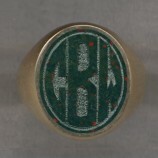 Click on any ring for a larger image as well as an inside view of the ring and more detailed information.